The Egg Hunt is Now Closed: thanks for entering - the winner will be emailed soon! Welcome to the UKYA Easter Egg Hunt! One very lucky winner will win a huge grand prize of signed books and other prizes by over thirty YA authors who write and live in the UK. 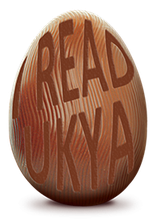 All you have to do is read this blog, count up how many UKYA branded Easter eggs you see in the blog. Whoops....could that be one there, to the right? Then follow the link at the end to the next blog. Keep going until you get back to the blog where you started, and add up how many eggs you’ve seen along the way. Jeannie is the author of the very shiny new One of Us - isn't it lovely? 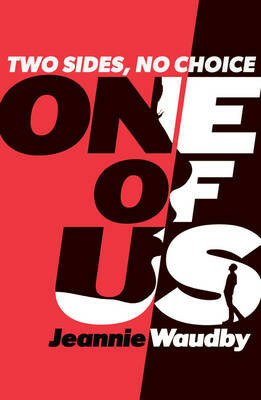 And Jeannie is contributing a signed copy of One of Us to the Awesome Grand Prize. 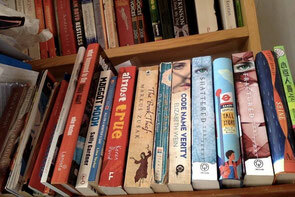 I'm proud to live and write in the UK - part of an amazing network of UKYA authors. I write thrillers! UKYA type futuristic thrillers - set in the UK, though there may be the occasional extra location, like an exotic island or virtual combat world. 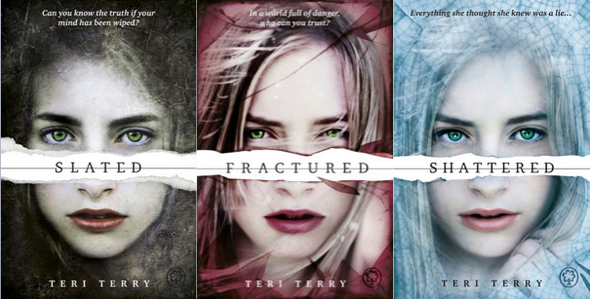 The Slated trilogy is about Kyla, a 16 year old girl who had her memory wiped as punishment for crimes in a future UK. 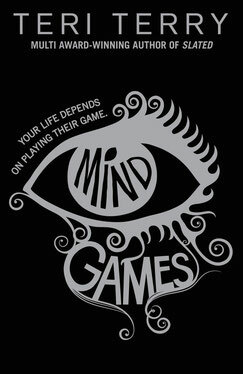 Mind Games is set partly in a futuristic London, and partly on an exotic island; partly in the real world, and partly in virtual worlds. It's about Luna. She's 17, and she's a Refuser: she doesn't plug into virtual worlds like almost everyone else. Luna has a secret. When she's plugged in, the real world doesn't vanish like it does for everyone else. Instead, she experiences the real and virtual worlds at the same time; a double awareness that makes her ill.
What am I contributing to the prize for the winner? A signed copy of Mind Games, a Mind Games book mark, and a Slated bookmark! Once again - this closes at noon (UK time) on Sunday, 5th April, and is open internationally. The next author to visit is another double act.....Lucy Christopher, and Sarah Benwell! So go to Lucy's blog to find them both, which is here. Aren't they ADORABLE? I love bunnies!! I keep coming back to this page to look at the little bunnies. There's no hope of any work when there are bunnies as cute as they are, is there? There are 4 Easter eggs with the ukya brand. Hi teri, just wondering will you post the name of who won the competition? The winner was Sophie Jordan! Hello Teri! i am Madison Perez from San Antonio, Texas. I didn't know how other to contact you than this, and I don't want to enter but I just wanted to say how much I love your Slated Trilogy. I am currently reading Shattered. The personality of Kyla (aka: Lucy, rain, Riley) is much like me, as I am violent but tend to be artistic and observant. I am trying to be a writer myself and am currently working on a book not to similar to yours. I only used the mind erased part though. Please respond, my email is @madisonm.perez@gmail.com if you want to contact me. Thank you! !